"Looks like OPEC is at it again," Trump tweeted. "Oil prices are artificially Very High! No good and will not be accepted!" Trump is right that OPEC, the Saudi-led cartel, has orchestrated higher prices, as it's known to do. And millions of American voters will probably share the president's outrage if gasoline prices soar as a result. Trump has pushed an agenda of American "energy dominance" by slashing environmental regulations and green-lighting pipeline projects. "These oil-producing states are Trump red states. They're part of his coalition," said Joe McMonigle, senior energy policy analyst at Hedgeye Risk Management, an investment research firm. "To have energy dominance you need higher prices to support investment." "The president is going to hear from Harold Hamm" about his tweet, said McMonigle, a top Energy Department official under former President George. W. Bush. 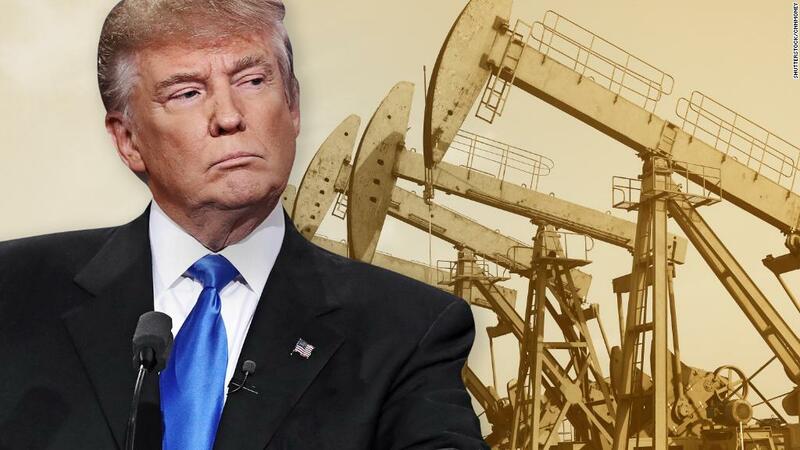 Trump's attack on OPEC could also conflict with his efforts to improve relations with Saudi Arabia, the country pulling the strings at the oil cartel. The timing of Trump's tweet is intriguing because OPEC's strategy hasn't changed recently. That's partly because of production cuts by OPEC and Russia, which have successfully mopped up the huge supply glut that caused prices to crash. Officials from OPEC and Russia met on Friday to take a victory lap for their coordinated action. "OPEC hasn't done anything different since early 2017," said Spencer Walsh, oil market analyst at IHS Markit. "The tweet, in my opinion, is a little misleading and not fully factual," he said. Trump himself shares blame for the more recent jump in oil prices. Geopolitical uncertainty briefly caused by US airstrikes in Syria helped lift prices earlier this month. Oil traders are also nervous about Trump's threats to reimpose sanctions on Iran, a move that could risk up to 1 million barrels per day of oil supply. "A lot of the reason for higher prices is the president's policy on Iran," McMonigle said. "You're talking about a huge amount of oil at risk. You're going to see prices spike. That's US policy. It's not anything OPEC has done." And then there's Venezuela, the crumbling OPEC country where instability has driven down production. The Trump administration is considering imposing oil sanctions on Venezuela that could further drive down supply. "The thing that's kicked up the price is the geopolitical escalation, globally," Walsh said. Trump's tweet noted that there are "record amounts of Oil all over the place." Of course, OPEC and Russia are certainly not pumping at full capacity. Yet production in the US, driven by the shale oil boom, has climbed to record highs. The US is even expected to eventually topple Saudi Arabia and Russia as the world's No. 1 producer. What he can't do, at least by himself, is keep oil prices from rising to levels that hurt the economy and upset drivers. "Other than presidential tweets," McMonigle said, "the federal government doesn't have a lot of tools at its disposal to affect prices."